Borough Hill is now a very pleasant country park. Daventry is a historic market town in, more or less, the middle of England. Its central location proved to be very important in the 1920s when the BBC began looking for a site for a new long wave radio transmitter that could broadcast programs to most of the population of England. 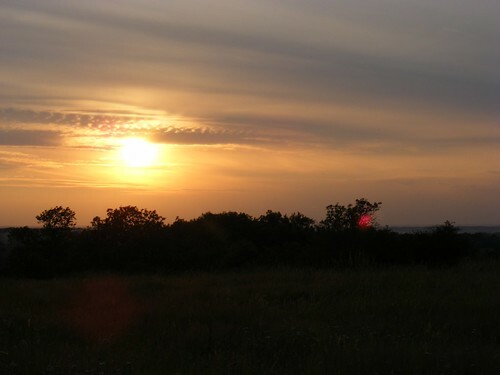 Borough Hill in Daventry was found to be the most suitable site and at 7.30 in the evening on the 27th of July 1925 the Post Master General opened the new transmitter, 5XX. As part of the opening celebrations the BBC’s Director General, John Reith, read a poem written by the poet laureate John Noyes. Daventry calling … Dark and still. Over the graves on the silent hill. Daventry 5XX would become a household name, it was able to reach 85% of the population, and booster stations made it possible for many of the households to ‘listen in’. In 1932 another new service opened from Borough Hill. The first short wave transmitters of the Empire Service, now known as the BBC World Service, were based there. Daventry called the world, and was an important source of news during the Second World War, and later during the Cold War. The powerful transmitters at Daventry were also used in the first practical test of Radar in 1935. 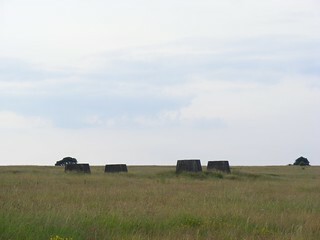 Although the 5XX transmitter aerials were demolished in the 1990s, the concrete blocks they were mounted on still remain. The BBC ceased their broadcasting from Daventry in 1992, and demolished the two 500ft aerial masts that had sat on top of Borough Hill. 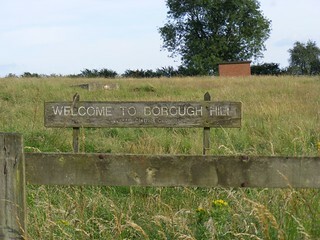 Borough Hill itself is now owned by Daventry District Council and is a very pleasant country park. Visitors can walk around the site, which has a long history prior to the BBC’s arrival. The original transmitter buildings can still be seen, and the large concrete blocks that the aerial masts had been mounted on are still in place. Aside from the site’s significance as an important site for the BBC, Borough Hill has a long history. It is a designated National Monument due to the evidence of one of Britain’s largest Bronze Age hill forts and evidence of Roman settlement. The old Dane Tree that Alfred Noyes named his poem after is an oak tree that grew on the summit of Borough Hill. Local legend had it that Danish settlers planted the tree there to mark the center of England. Sadly the tree died, probably as a result of damage caused by the BBC’s building works. All that can be seen now is a sorry looking stump next to the original transmitter building. Some of the artefacts from Borough Hill have been preserved at Daventry’s volunteer run museum. The museum opens on the first Saturday of every month and several items from the radio station are on regular display. Even for those who aren’t interested in radio and broadcasting, Borough Hill also commands some spectacular views of the surrounding area and is a haven for wildlife. It is well worth a visit for that reason alone. A trip to Borough Hill on a pleasant day is worthwhile for the views alone. 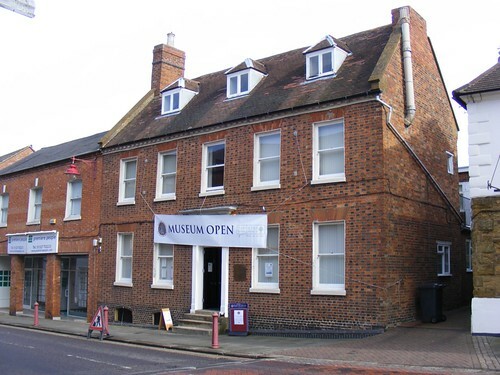 Daventry’s volunteer run museum opens from 10-4 on the first Saturday of every month. This entry was posted in England, Europe, United Kingdom and tagged 5XX, BBC, Daventry, radio by Charlotte Connelly. Bookmark the permalink.